A year goes by so quickly and Christmas is always around. Not sure about you, but my family and I always try to top the last year's decoration in any way possible. It's not all about the gifts, but personally, for me, it's about the decorations and Christmas spirit. What I've found that made my Christmas decoration even more special, and a lot harder to beat is the Christmas light projector. 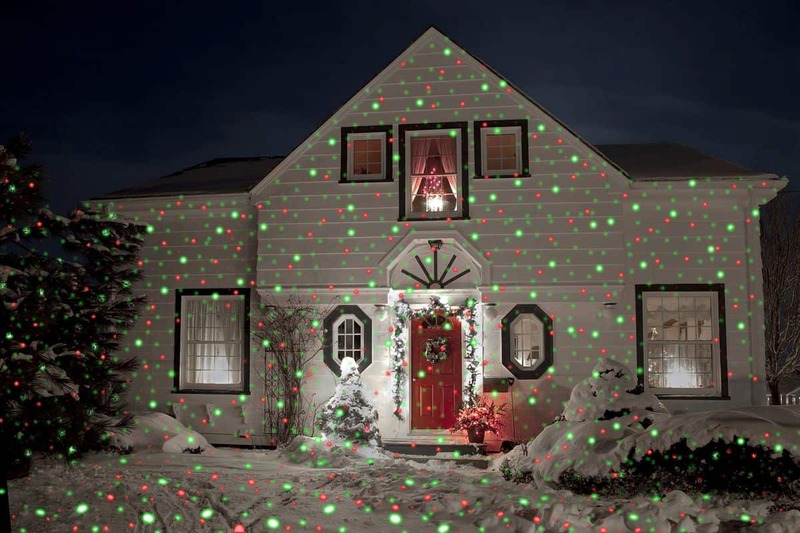 Whatever your favorite Christmas symbol or pattern is, you name it, and the Christmas light projector will decorate your house interior and even exterior with your favorite association to Christmas. It's definitely a simple and inexpensive way to create a lovely family environment. We've looked for many Christmas light projectors, only to find the best ones that feature a lot of versatility, yet proved themselves to be a great spirit booster. Therefore, in this post, you can find 4 best Christmas light projectors that are very reasonably priced yet offer a quality projection that will last for years. The Bets 4 Christmas Light Projectors In The Market For The Money! If you're looking for a way to prepare for Christmas and aren't sure how to decorate your home this year, there is no better way than getting a Christmas light projector. Lightshow is a part of the Christmas holiday and with any of these Christmas light projectors, you get to create your very own light show! Christmas holidays can be quite expensive but even though VIVREAL is very fairly priced and won't add an additional expense during the holiday season - one of many reasons why it's our best choice is the value & quality it offers for the price it costs. If you have a look at some of the features, the value it offers increases, and it's most likely going to make you want to have one the next Christmas! It also makes a great gift for the December. To make sure you find your favorite Christmas symbol, this projector comes with 16 different films that feature Christmas decoration and patterns. We've really liked the Santa and Christmas tree projections, even though there are a lot of good films such as snowflakes or even fireworks. Among the 16 films it features, there are a few films such as cake or roses that are suitable for any occasion during the year which is really cool. This increases the value since this projector won't be sitting in a box waiting for another Christmas. With the remote control that even comes with a battery included, you get a great range of about 30 feet, which gives a great signal for indoors and makes it suitable for outdoor use. With a very compact yet versatile remote controller, you get to change the projected film, moving speed, lights color, set the timer or even set the flashing lights. The timer features a few different timing settings that can be set for two, four or six hours ahead. 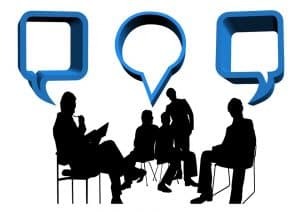 And our favorite feature is the turn off timer function that allows you to save energy and set the desired time you want the projector to be turned ON and OFF. 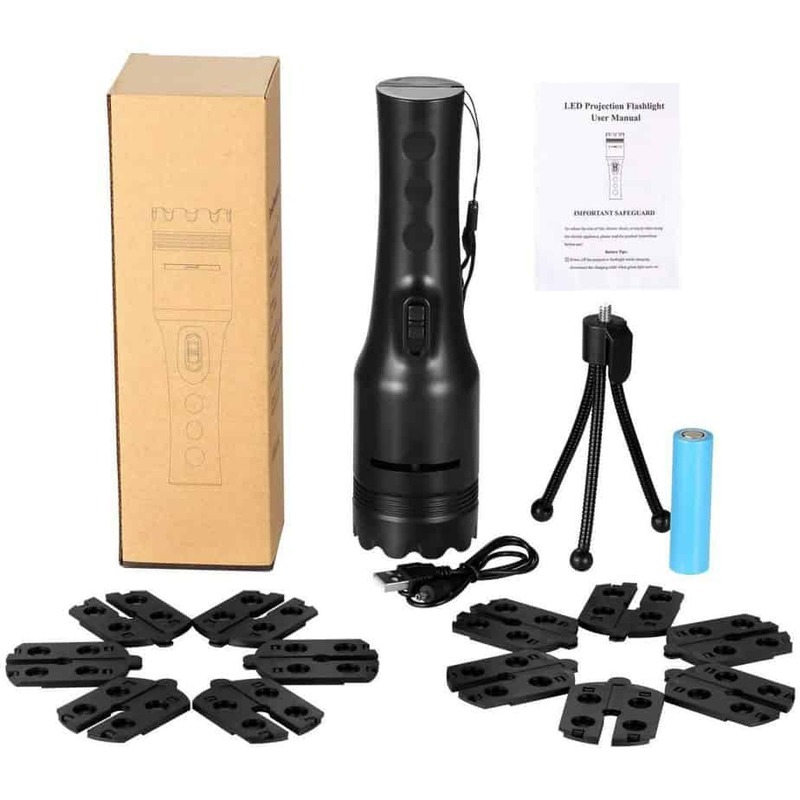 What we didn't know at first was that the VIVREAL light comes with a high IP44 rating that makes this Christmas light waterproof and suitable for both indoors and outdoors uses. Other than being just waterproof, we found out that it can actually handle any type of weather, and a super-long cablemakes installation at any outdoor location simple and easy. What's so great about COMLIFE is that it's not only made for Christmas and you can use it all year around. Since it doesn't only include effects but also beautiful wavy colors, they make this projector suitable for many different occasions. Even though the remote controller is far smaller than a TV controller, I'm sure it can do a much more than your TV controller can. While most Christmas projector lights come with a single projection head, COMLIFE features two which provide a bright and colorful projection at the same time. One head is made for patterns while the other one is used for wavy water colors. When these two heads combine, the projected image is going to increase the spirit of any event, including Christmas, up to a notch. 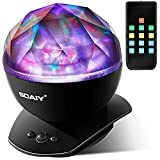 When you take the remote controller in your hands and start playing with the features of this Christmas light projector, you'll end up with hours of fun and endless settings to choose from. Even though 12 patterns might seem a bit limited, each pattern features at least 4 different animations and characters that really make the full use of 12 patterns. Along with the patterns and thanks to the dual head projection, there are also 10 colors available that come in different water wave patterns. We loved playing around with the combinations and the amounts of rich images you can get out of the dual heads of this projector. The quality of the projector really exceeds its price, and when you combine all the features it includes - it's a lot of fun. Before the installation process, we should mention that COMLIFE Christmas light projector is suitable for both outdoors and indoors use, especially since it's built with materials that are resistant to water and most common weather conditions. We've tested it in the light rain and it was fine, even though the manufacturer guarantees that the light can withstand snow and many other harsh weather conditions. The mounting base of this projector makes it really simple to install in many different positions. If you aren't sure where you'd like to install it yet, the ground stake makes it easy to install in a wall, desk, or in the ground, so you get a great versatility you can take advantage of. Extra-long cable is just another advantage you'll benefit from during the installation of COMLIFE Christmas projector. We found it to be really useful for outdoor installation since you probably won't need any power outlet extension. If snowflakes are your favorite thing about winter and about Christmas, you'll probably love the CroLED Christmas light projector. Even though it doesn't feature a lot of patterns, it's very elegant and still is equipped with a bunch of features that make it worth it. What's more important is the simplicity of this light projector that makes sure you don't waste time or energy on Christmas lights ever again. Not getting enough snow? How about decorating your home with snowflakes? 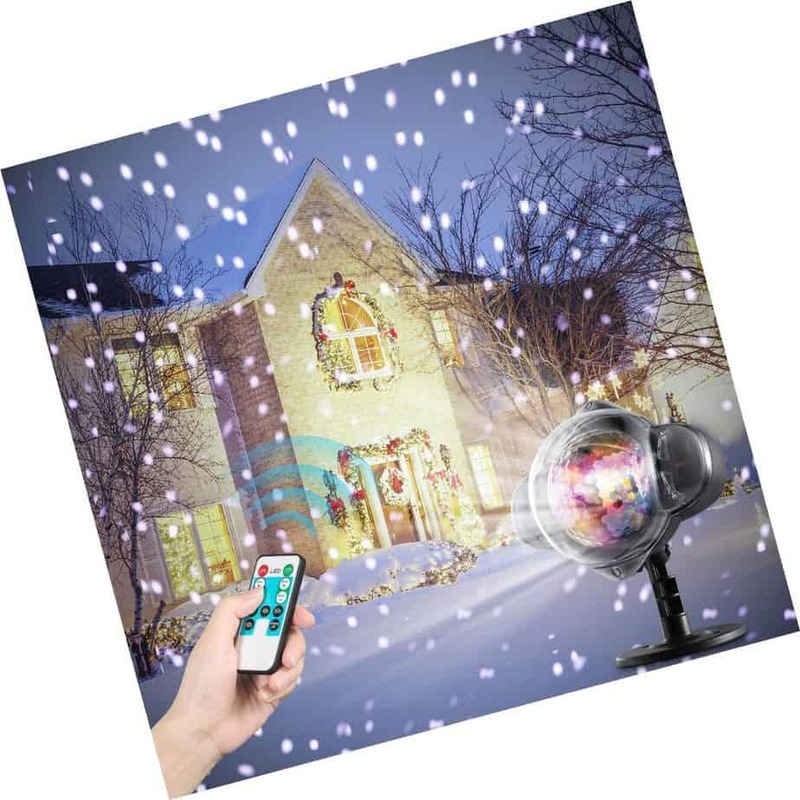 With that being said, you'll be able to get snow vivid scene and snowflakes down in a minute with CroLED Christmas light projector. Once you unpack the CroLED, it'll take you less than 5 minutes to figure it out and install it, which is a lot faster than having to untangle and install Christmas lights, right? 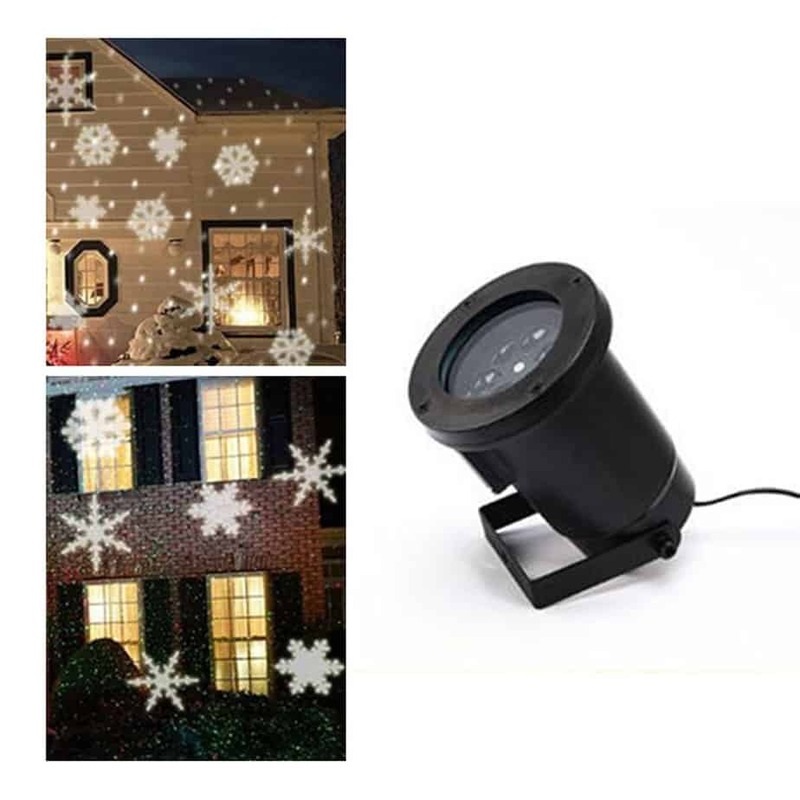 If you get a few of these and combine them with any other Christmas light projector, we find it to be the most effective way to achieve Christmas landscape - whether it's indoor or outdoor. Even though CroLED is really affordable, it is equipped with features that make it very simple to use, very efficient, and very satisfying since it puts on a true winter/Christmas spirit. 180-degree adjustable projector head will make sure you get the best angle on the projection, while the remote controller will allow you to set the timer, change the brightness, set the rotating speed and set many other similar features with a press of a button. The controls are very simple and it was easy for us to figure it out without studying the user's manual at all, however, the controls offer a lot of options. With a simple remote controller, you get to control all features mentioned above which include flash frequency, rotating speed, auto timer setting, and much more. 3 different snowball effects with adjustable speed create a memorable Christmas Eve and definitely are a great decoration to any house. Oittm is a very popular choice because it offers a lot more than just Christmas projections. It can be used for weddings, Thanksgiving, birthday parties, and even Halloween which makes it a very popular choice. For the price it costs, its versatility & image quality offer projections that are suitable for both indoors and outdoors which makes it easy to use. There are 12 slide patterns that come included with Oittm which give different projections and patterns that make any ambient positive. Even though the patterns have to be replaced by hand, they feature a lot of beautiful patterns that can be used for many different occasions. When these patterns are combined with a powerful projection, this gives the ability for great use of the projection for both outdoors and indoors use. When you have a look at the patterns that come included, it doesn't take long to realize you'll be equipped with an all-year-round entertainment. And even though the patterns have to be replaced manually, they're still worth the price. Oittm did a great job at providing a better shine and brighter light while cutting down the power consumption and cost of running the light regularly. With 4 pieces of built-in LED beads that operate at 3W RGW/W energy, the projection is still crystally clear, bright, and full of vivid colors. Leaving Oittm Christmas light projector to run regularly outdoors during the holiday season won't even have an increase in your electricity bill. We've spent hours testing these lights and what we have found to be really efficient for us and our time is the convenient installation. It only takes minutes to install this Christmas light projector and you can forget about hanging the strings of lights. At the same time, it's very safe to use them since the projector is waterproof, and even the adapter is protected against the weather conditions. Leaving it outside in the coldest winter weather won't make a difference at all. Even if you're using traditional Christmas decorations and still hang the Christmas lights, there is no reason you shouldn't add Christmas light projector to your collection and boost your Christmas spirit up even more. These 4 Christmas light projectors won't break the bank yet are one of the best projectors available on the market that won't limit the decoration ways, instead will provide a very versatile and modern way of lighting. While you can't project any type of image you'd like with the Christmas light projectors, they still come with a number of patterns that you can control and use. Christmas light projectors featured in this post feature at least about 10 different patterns and some even include a number of colors or multiple characters in a single pattern. Therefore, you get much more than you would expect. 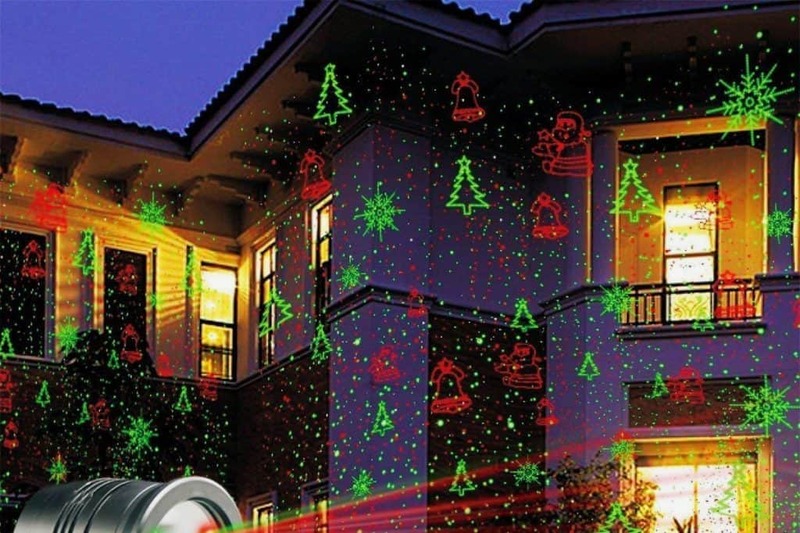 Patterns are important since they improve the level of entertainment that is offered, and with any of these Christmas light projectors, you will have endless hours of fun. Almost all of these Christmas projector lights featured in this post offer a lot more patterns that are suitable for all-year-round. Whether you're looking to replace your traditional Christmas lights with one of these Christmas lights projectors, it's important to have a look at the installation ways of the projectors. 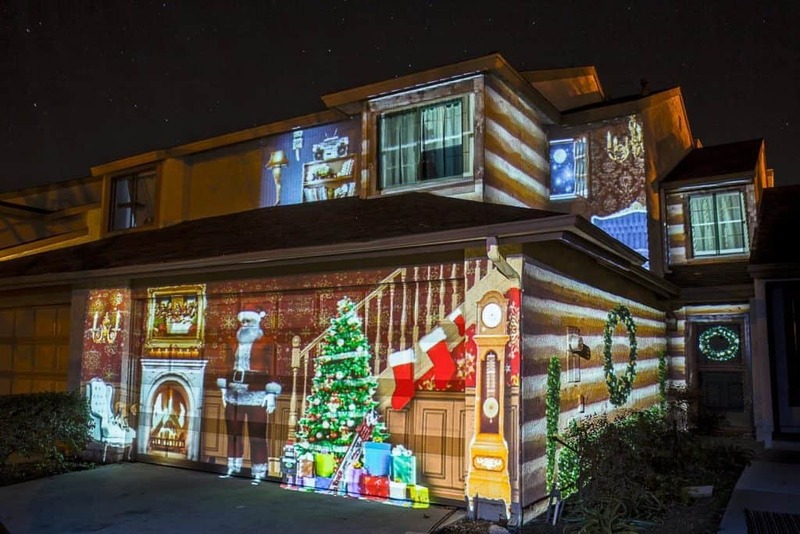 Most of the Christmas light projectors come with a very simple installation that features only a few pieces and are made to be installed indoors and outdoors. That's ideal for people who want to spend less time untangling Christmas lights, but also for people who are looking for a great addition to their Christmas lights collection. 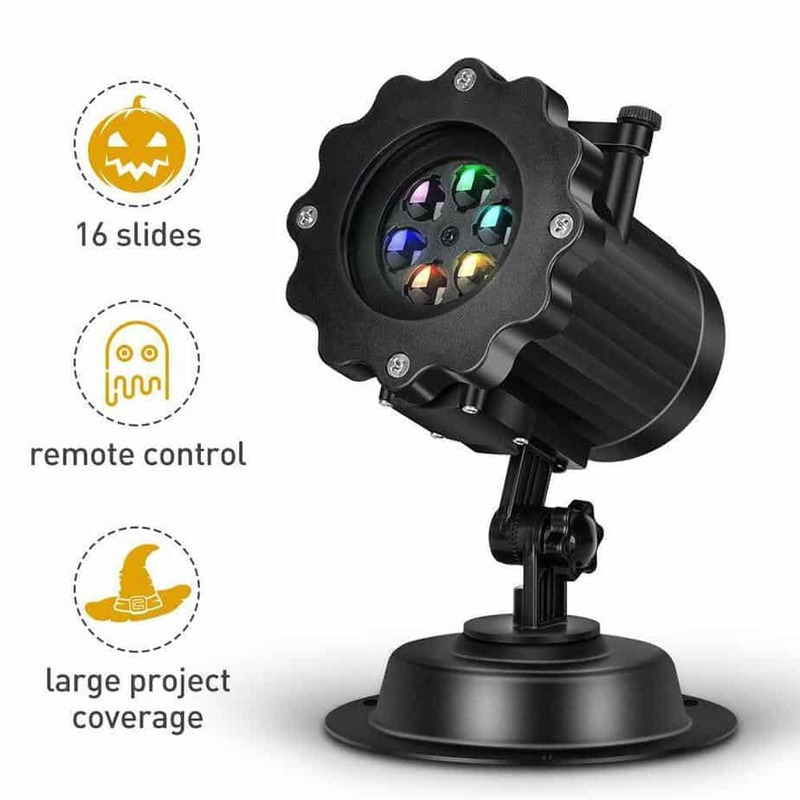 Most of such projectors are very well built and protected with a high IP rating that makes them waterproof and weatherproof, so you can literally place them anywhere, under any weather conditions. Since most of these projectors are well protected and are suitable to be installed outdoors, the remote controllers are almost a standard that comes included. Even though such remote controllers are small and have very few buttons, they still give plenty of options and you probably couldn't use the Christmas light projector to its fullest without the help of the remote controller. Therefore, we highly recommend you to always go for a projector with a remote controller. Most people are very familiar with the standard projectors, however, feel quite inexperienced when it comes to the Christmas light projectors. They operate in a bit different way but are even simpler to use. Knowing what makes a great Christmas light projector and what to look out for is a great way to find a suitable projector for your needs, but if you still aren't confident or sure, here are some of the most common questions and our answers to them. Q: At what distance to install Christmas light projector? A: Christmas light projectors are different in many aspects and while one answer can't help everyone, the most recommended distance for outdoor use is somewhere between 5 to 7 meters, while a suggested distance for indoor use is about 3 to 5 meters. Most manufacturers mention their recommended distance so make sure you check out the user's manual. Q: On what surface can Christmas light project the image? A: Christmas light projectors work in a different way than standard projectors, and therefore, they don't require a solid background surface for the projection to be successful. And since most of the Christmas light projectors can be used outdoors, you can really project the image to an even surface such as a wall, ceiling, or simply in the air in the dark environment. Q: Christmas light projector VS Christmas lights? A: Christmas light projector will never be able to replace the traditional Christmas lights for some people, but it depends on the individual. Even though the projector can give a very similar experience to the Christmas lights, the best way to get most out of the Christmas light projector is to accompany it with other Christmas decorations. Q: How to secure Christmas light projector? A: Most Christmas light projectors are made out of 2 to 3 pieces which include a mounting rack that makes the installation very simple and helps to keep the projector fixed under any weather conditions. The way to secure Christmas light projector varies between the models, but manufacturers really pay attention to the installation and safety so you will have at least a few different ways to secure the projector, wherever you install it. Q: Can Christmas light projector be installed on a roof? A: While it might be a bit tricky to install and secure the Christmas light projector on a roof, most of the can easily be installed to a wall so installing it very high on a wall, at the height of a roof will give very similar projection yet will save you a lot of time and hassle on the installation. Q: Can I project custom patterns with Christmas light projector? 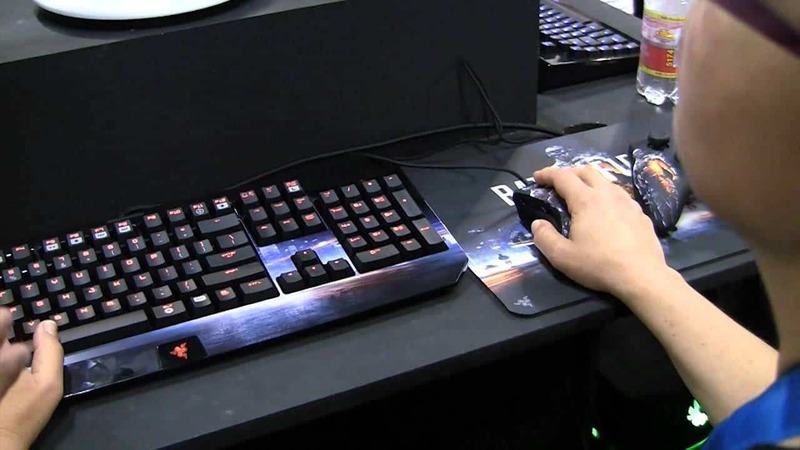 A: Unfortunately, these projectors aren't made in a way standard projectors are made, and therefore, you aren't able to use any input device to project your custom image or patterns. Some of the Christmas light projectors such as Oittm have replaceable filters and maybe you could try and create a DIY filter that will work, however, you will have to stick with the filters and patterns a projector has integrated. With the amount of Christmas decorations and the ability to decorate your home both indoors and outdoors is really amazing, making every Christmas decoration even better. Christmas light projectors are a great and inexpensive way to either replace your Christmas lights - save yourself time and energy, or make it a great addition to your existing setup. No matter which projector you choose from these 4 best ones, it's guaranteed that you won't only have fun during the Christmas holiday season, yet you will have an amazing time all-year-round.